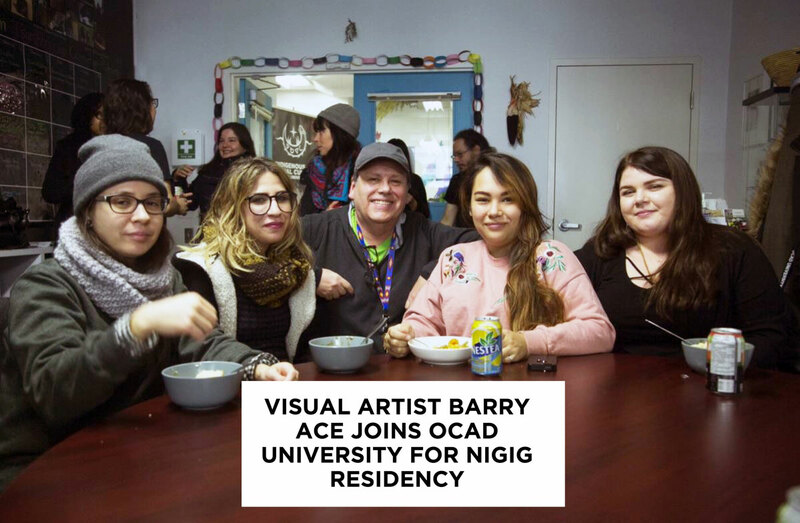 The Indigenous Visual Culture Department at Ontario College of Art and Design University (OCAD U) Toronto welcomed Barry Ace as the winter 2018 Nigig Visiting Artist-in-Residence from January 9 to February 6, 2018. “The Nigig Visiting Artist Residency, hosted by the Indigenous Visual Culture Program at OCAD U, provides an opportunity for an Indigenous artist to visit the university for a three-to-four week period to focus on a short-term project and explore – in a collaborative environment – issues impacting their work. The visiting artist engages and interacts with students and faculty in the capacity of mentorship, critique, lecture and a public workshop/demonstration. Read artist statement and view images of the work How can you expect me to reconcile, when I know the truth? produced during the residency.